Hey y’all, welcome to Prints month on the blog! Yeah, I know September started a week ago, but life happened and I’m just now getting caught up. 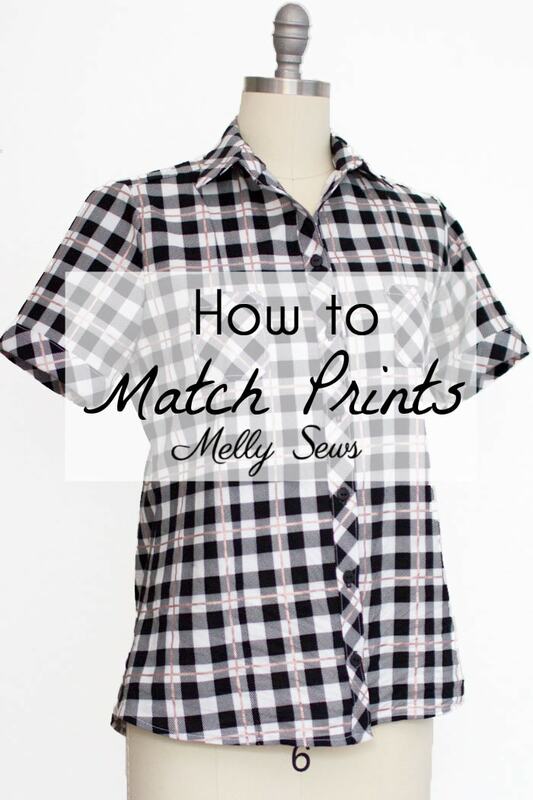 At any rate, I’m excited about the things I’m sharing this month, starting with today’s tutorial on working with prints when you’re sewing garments. So let’s get in to how to match prints. Next, use lots of pins when pinning a seam. 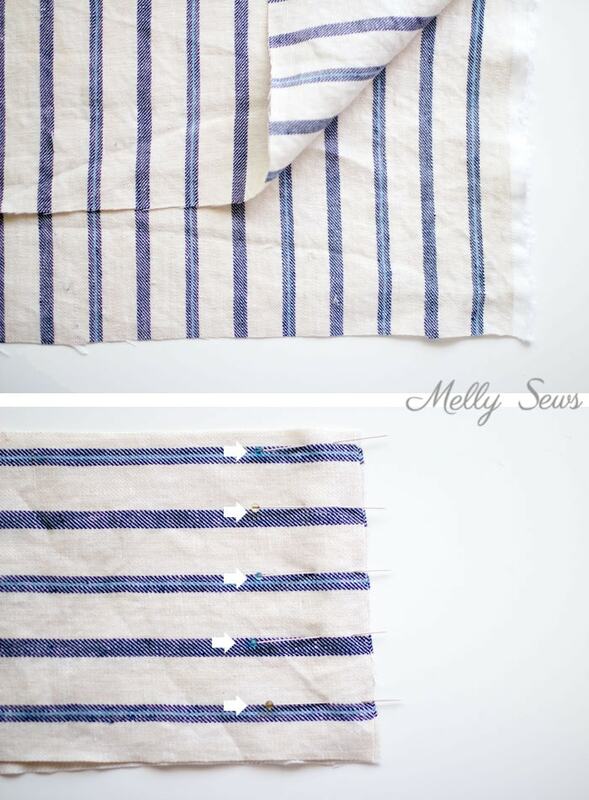 You’ll want to carefully insert one pin at least every 1 inch, more if the fabric is shifty. The more carefully you line up the stripes, the better your matching will be. With really shifty fabric (rayon challis, for example) you might even want to hand baste the seam first to match the stripes. Matching plaids follows the same principle as stripes, except that now you have to consider matching both horizontally and vertically. 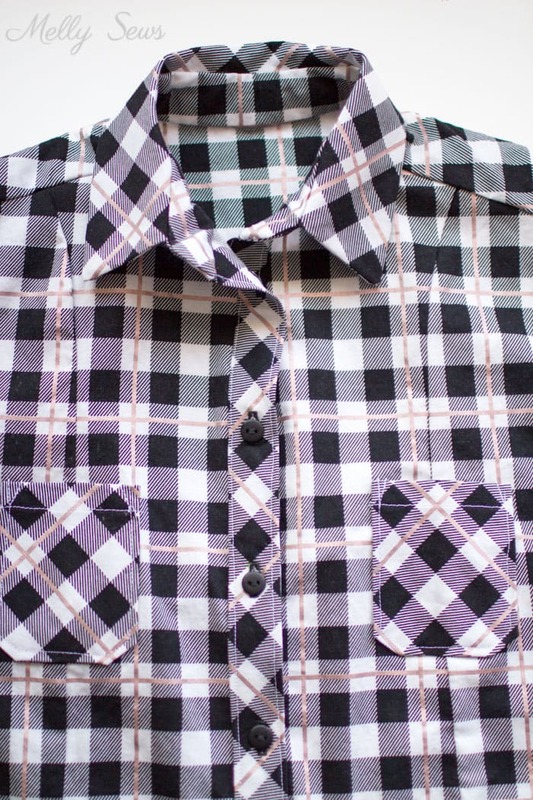 And depending on the seams, you may not be able to completely match the plaid. The important thing to remember in cases when you do want to and can match both horizontally and vertically is that you need to match on the seamline, not the pattern edges. Because of this, it’s helpful to mark out your pattern seam allowances on the pieces. In the image above, the red arrows indicate points that I matched horizontally. If you’re sewing something with side darts, you’d want to match from the hem point instead of the armscye point for the side seams, because the dart will throw off the pattern matching. 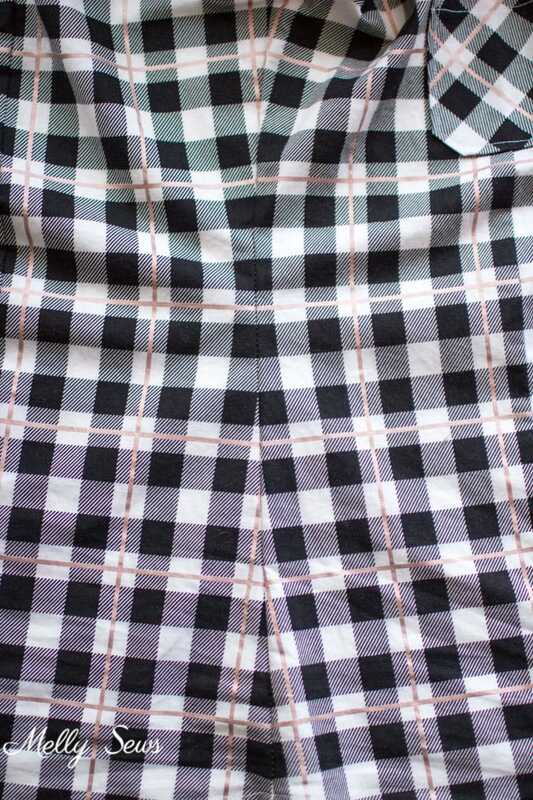 The shirt below has princess seams, so it’s not possible to completely match the plaid around the curves. In cases like this, you want to match the most obvious joins, so I chose to match the lines horizontally, and not worry as much about the vertical pattern repeats. You can see those results clearly on the shaped side seams as well; the horizontal lines stay matched but the verticals don’t. 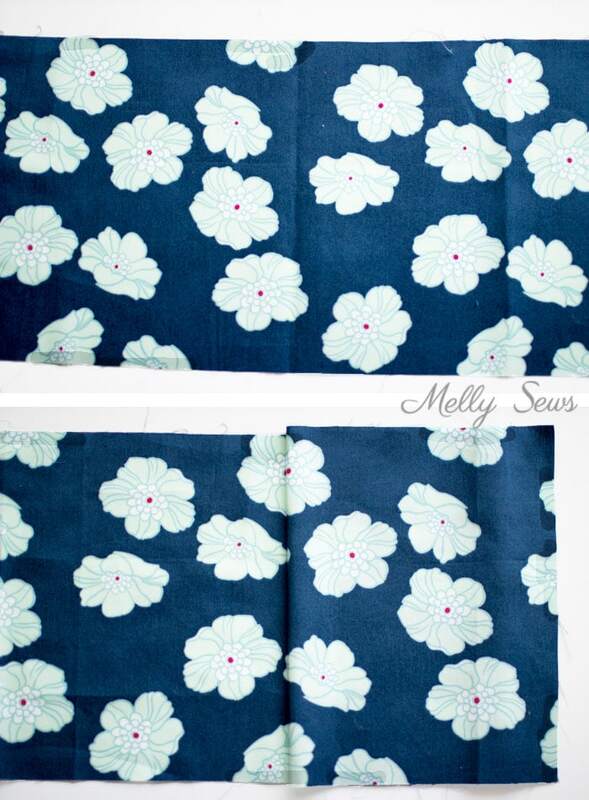 If you’re sewing with a floral or other print, these also have repeats, but sometimes they’re harder to spot. 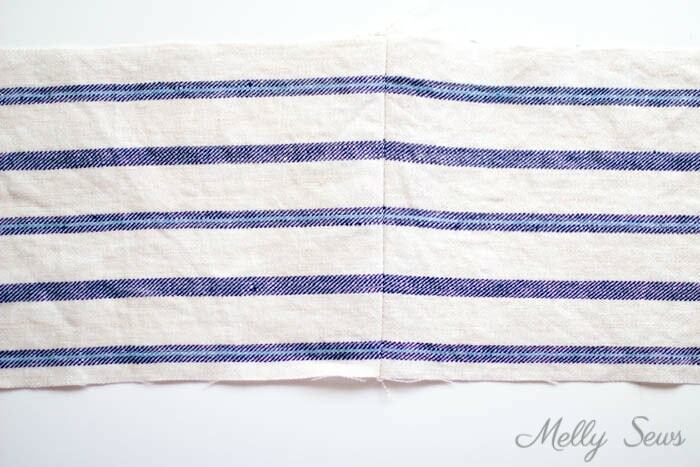 Because of this, it’s also less bothersome to the eye when you don’t match them, but if you really want to try, here’s a tip: make a vertical fold anywhere on the fabric perpendicular to the selvedge, then pull that fold along the fabric parallel to the selvedge until the pattern matches. 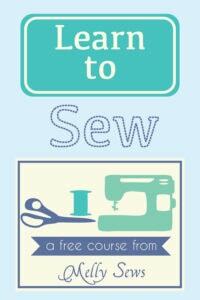 Then you can mark those repeat lines to help you in pinning your pattern to match. One last pattern matching tip – as you’ve probably noticed, any time you want to match a pattern, you generally have to have extra fabric. 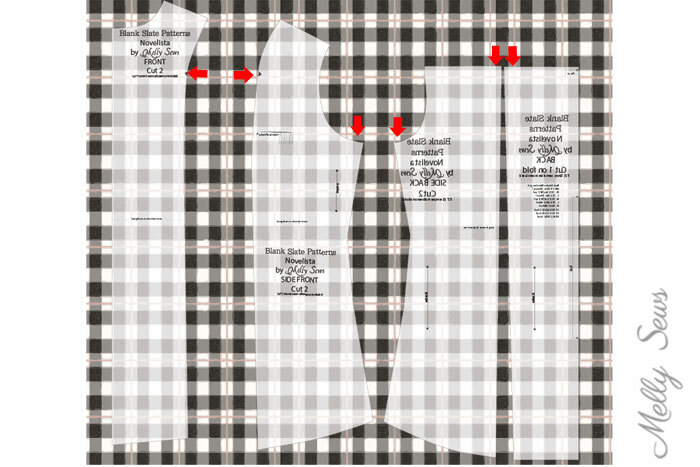 If your pattern yardage chart doesn’t specify, it’s a good idea to plan on an extra 1/2 – 3/4 yards for pattern matching. One of my goals for sewing this fall is to make a plaid shirt, and I’ve never matched prints before, so this post came at the perfect time! After learning to sew in the early 70’s and learning these techniques, I have a hard time purchasing ready made items where the strips and plaids don’t match! Thanks for teaching others these techniques!!! 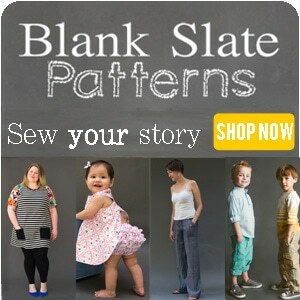 Matching plaids, stripes and prints was one of the first things my mom taught me when learning to sew with patterns. She used the notch markings on the pattern pieces to help line things up and it worked really well.